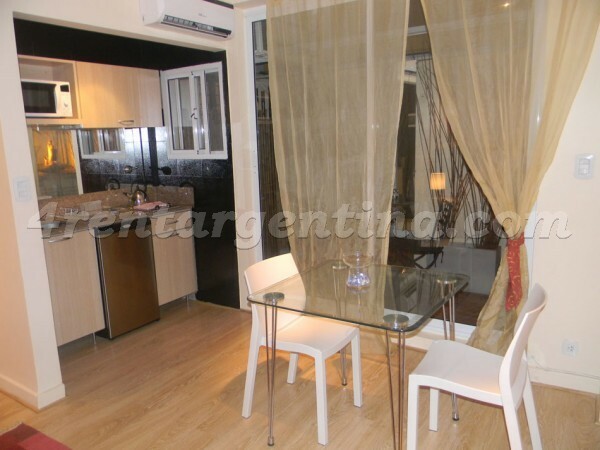 Cozy furnished apartment for temporary rent in Buenos Aires, located in the prestigious Recoleta neighborhood, one block away from the famous Callao and Alvear Avenue where you will find luxurious shops and restaurants,  and very close to Plaza Francia where an interesting craft fair is organized and street artists make their shows every weekend. 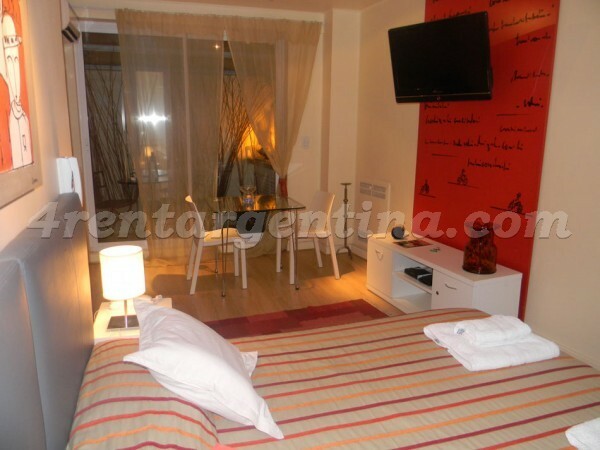 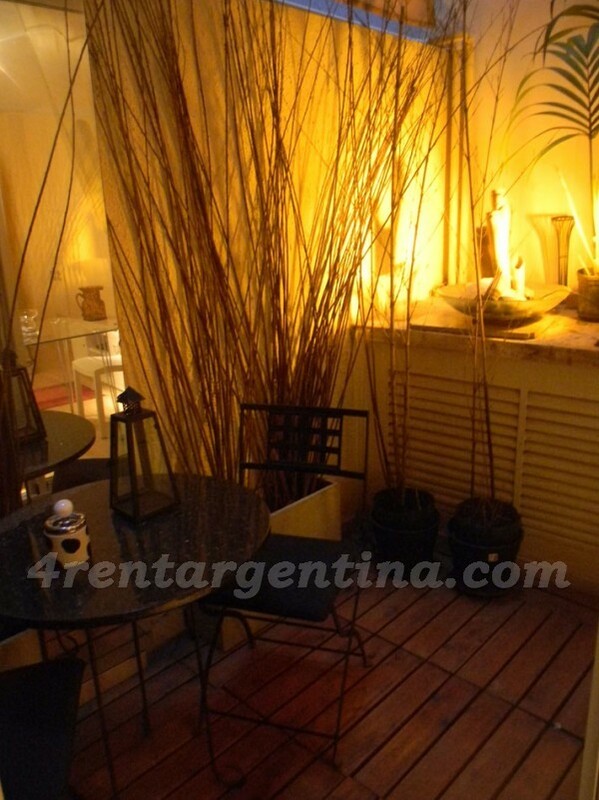 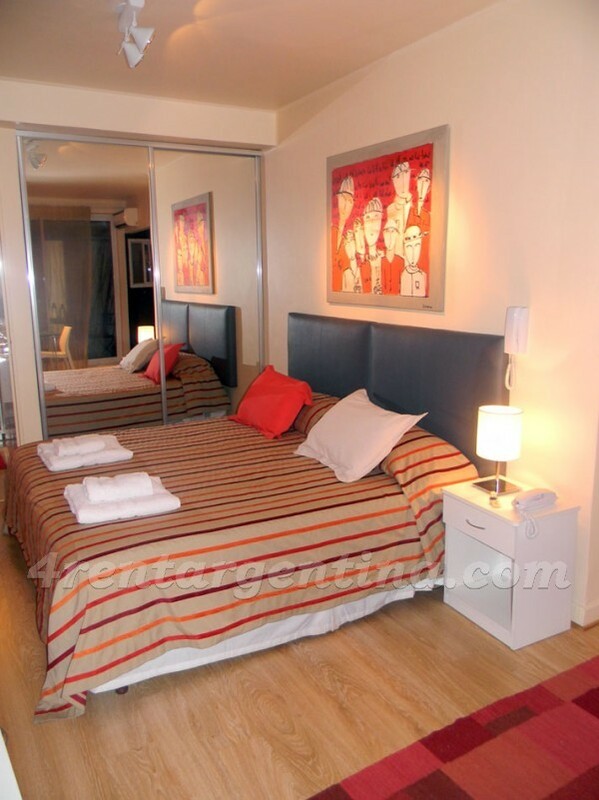 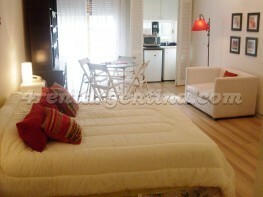 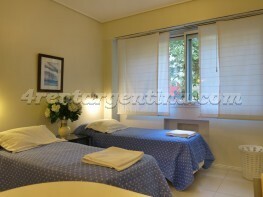 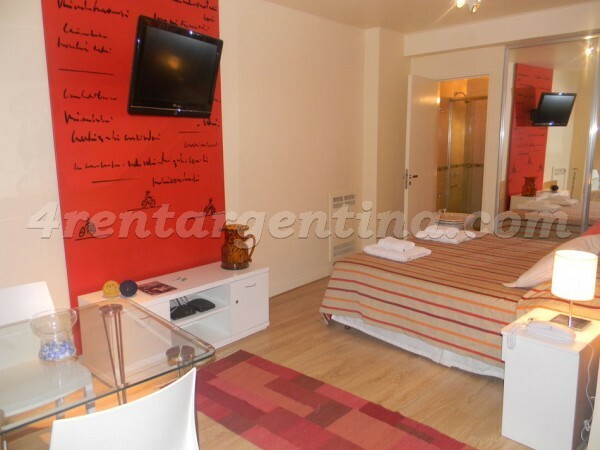 This modern studio apartment is ideal for two people, features beautiful wooden floors, is elegantly decorated and has everything you may need for an excellent stay in Buenos Aires: two single beds that can be turned into a queen-size bed, a table with chairs, a fully-equipped kitchenette, a full bathroom with shower and a nice patio. 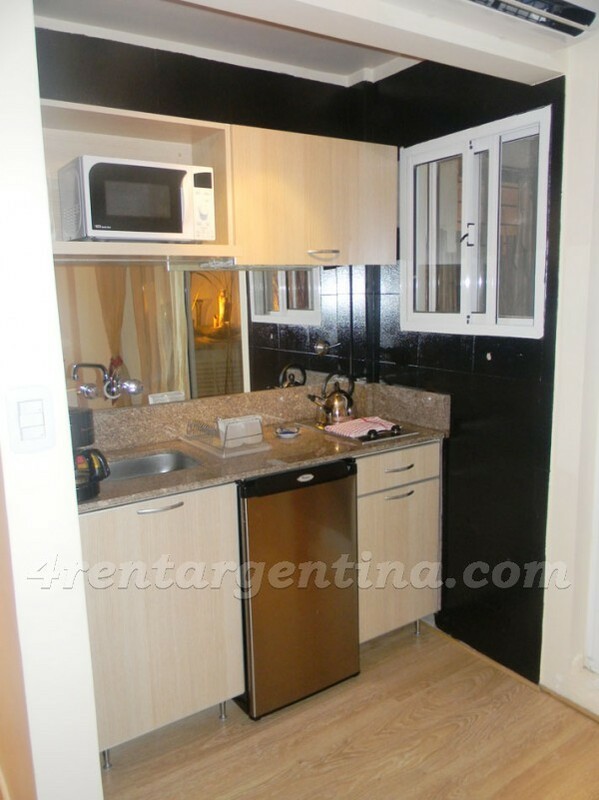 Fue una experiencia agradable recibir sus servicios.